This custom real estate site needed love, attention and really amazing photography to make it shine. This client challenged us to rethink our original design and truly make this one unique. This site needed to integrate with the client's custom real estate app to display not just properties for sale but sold properties too. Though this site may have taken a little longer to develop, we are really proud of how this one turned out. 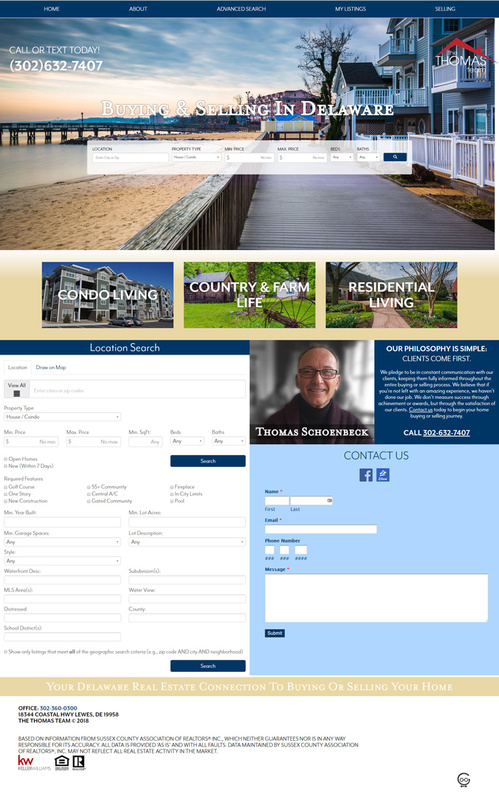 We were able to fully integrate the client's real estate app with the website including all of the extra advanced search features. The amazing photography really puts this one over the top.